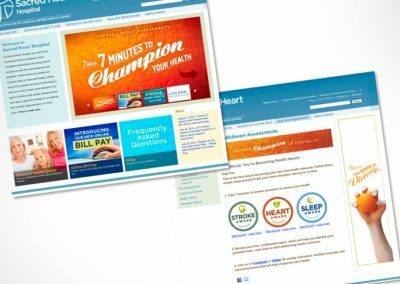 Online health assessments are interactive, fast, easy to take and a great way to identify and serve people at risk for numerous conditions. 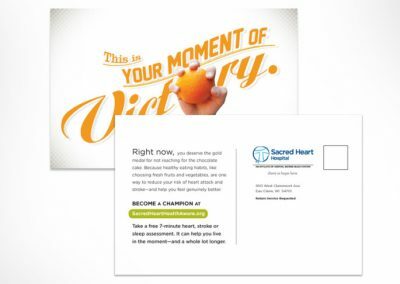 Sacred Heart Hospital had added them to its website and needed to drive people to the site to take an assessment. 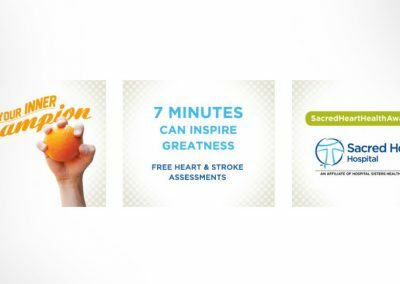 Gold medal wellness performances were celebrated in a campaign we designed to capture the spirit of the Olympics and encourage our audience to take one of Sacred Heart’s seven-minute Health Aware assessments. 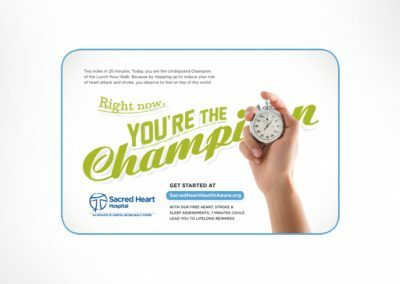 The hospital realized $800,000 in downstream revenue from their Health Aware assessments.